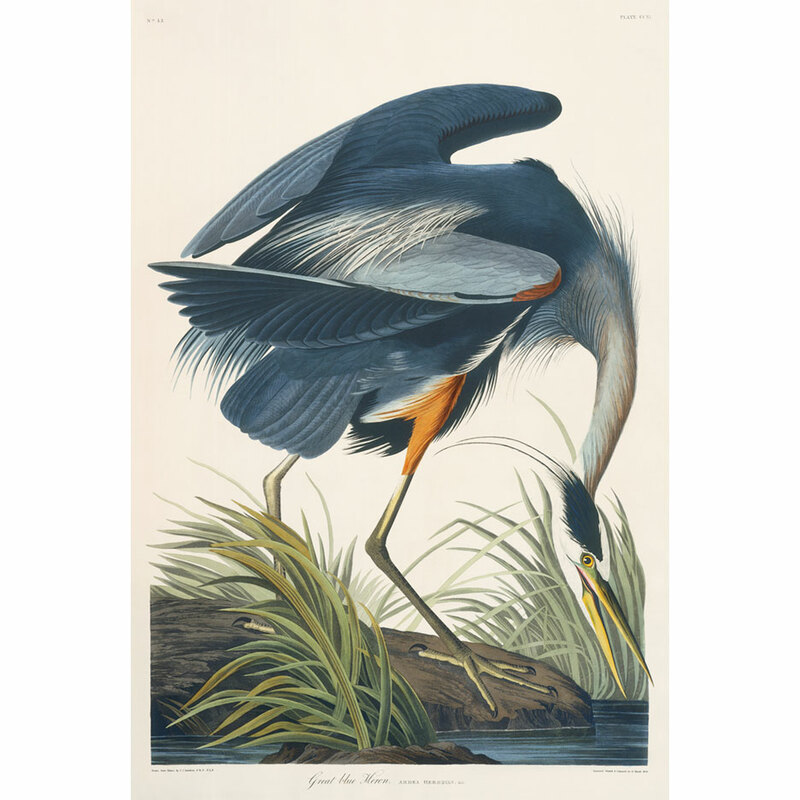 The Great Blue Heron is one of JOhn James Audubon’s most beloved images. 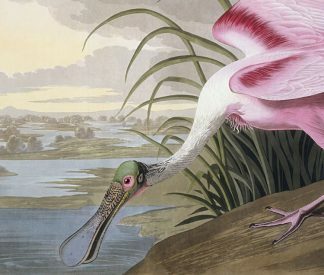 Graceful and elegant, this image is a classic example of Audubon’s great eye for detail and natural beauty. 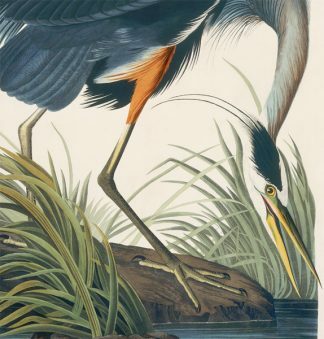 John James Audubon painted the Great Blue Heron in the state of Louisiana, near St. Francisville, in the early 1800’s. This species is currently found in all fifty states, and is a favorite of bird enthusiasts everywhere. The Great Blue Heron Essex print looks great paired with Pl. 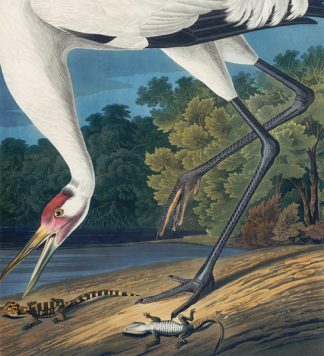 226 The Whooping Crane. Printed on the finest art paper produced in America, which is called Essex #110 and is manufactured in Monadnock, New Hampshire. 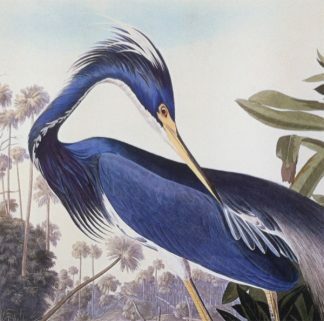 The Great Blue Heron was printed in a limited edition of 1000.